Carrots are great sources of dietary fibber, antioxidants, minerals, and β-carotene responsible for the orange staining characteristic of the plant, is a pro-vitamin A (substance that leads to vitamin A in a living organism), helps the performance of receptors in the retina, improving vision. It also helps to maintain the good condition of the skin and mucous membranes. 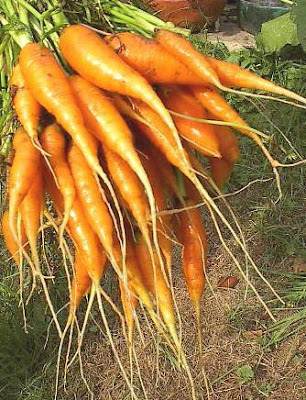 In humans, only one hundred grams of carrot are sufficient to supply the daily needs of vitamin A.Medicinal properties: anti-septic, antimicrobial, diuretic, stimulates the nervous and lymphatic systems, re-mineralising, helps in the tan.